No, let me rephrase that, I am magnetically drawn to anything that is remotely spooky, creepy, and spine-shivering. I am in love with horror comics. It’s not something you really find in superhero comics. There have been plenty of series that have flirted with horror. If you need examples from the last few years you can try Batman: Death of the Family. Other books, such as Fawkes’ own Constantine or with Justice League Dark touch on dark or brooding elements which has dark touches. However, with Gotham by Midnight all pretense of what is being presented has been cast aside. This is DC’s horror comic. 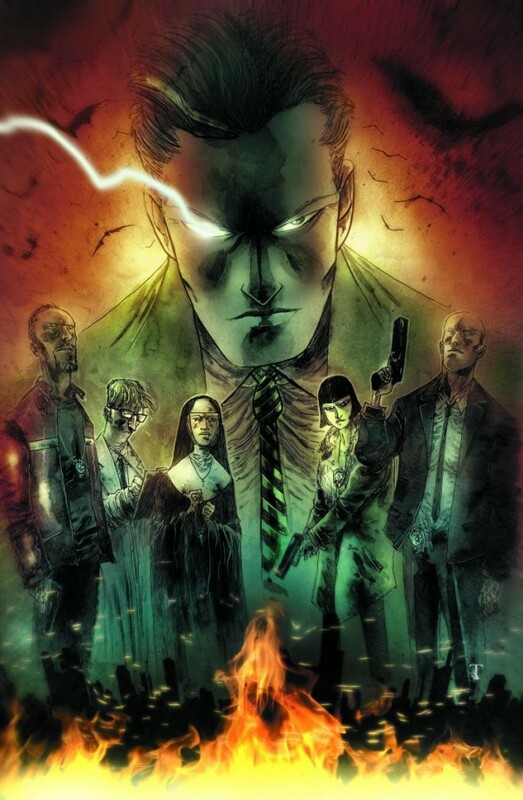 Detective Jim Corrigan, the former Spectre, has assembled a special team, with a special budget, to fight the supernatural horrors found around Gotham. Of course, leave it to the GCPD to send in their own Sculley, named Sergeant Rook, to sleuth out the fraud he knows has to be occurring. There is a fair amount of time spent in this first issue making it very clear that Rook will not be putting up with anything and is there to shut down their unit. However, it allows for all the other characters to pop in quickly and give us time to enjoy their quick appearances. 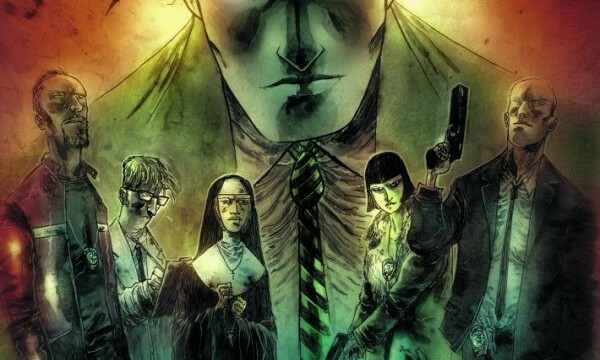 Fawkes has created a treasure trove of unique supporting characters that look as if they could have whole arcs or more written about what brought them into the realm of supernatural investigations. We’re only given short introductions in this issue, which serves the air of mystery well. There is a forensic scientist, a nun, the partner who just wanted to be a good cop; the potential for plot and back-story is subtly laid out. With this book being part of the Batman-family, of course the Dark Knight makes an appearance. However, instead of dominating the book or taking over the panel, he becomes more of a fast plot device that blends into the background of the story. By the end you might have forgotten he was even there. That can be attributed to Ben Templesmith’s superb art. For those who have never experienced 30 Days of Night, Ten Grand, Squidder, or the multitude of other works by the Australian artist, you’re in for a unique experience. It’s not a style for all. There is a combination of the editorial or political cartoons, you’d find in the newspaper, along with tonal relevant watercolor backgrounds and shading. Are the characters inside? Then everything will have a variation of yellows or browns to reflect florescent lighting. A darkened room or nighttime drive? The browns and blacks will over take the scene. It is the art that sells the creep factor of this book. Even when nothing is happening but introductions between characters, Templesmith’s art has the power to create a tension and mood that will sell the feeling throughout the whole story. These two creators together have mood inducing touches: black ominous flowers, terrified and eerie children, dead languages, dark water… I mean, they take the story all the way to Slaughter Swamp! Has anything good ever happened there? No, thankfully, which makes for a great horror story. The tempo is very controlled and sedated for a first issue. It helps to make the tension even tighter for the reveal that will lead into next month’s issue. Many horror fans will appreciate this decision. However, for the traditional superhero comics fan, there might be a lack of action. This is the book where superhero comics not only step into the pool of the horror genre, but slowly work their way down into the deep end. However, they do not have to drag you along from behind or drown you in it. Instead you’re entranced and walking along with Fawkes and Templesmith… all the way down into the dark water, surrounded by the black flowers, ready for the hell about to be unleashed.